We entered the UK Wedding Awards for 2019 and are thrilled to say that we are 2019 Finalists in the category for Best New Wedding Venue. We are the only wedding venue in Sheffield and South Yorkshire to have made the finalist list. 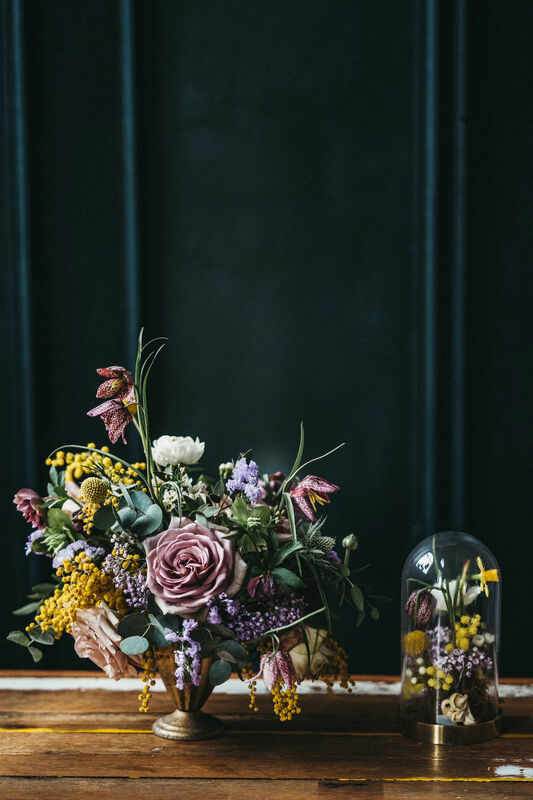 From wonderful venues to beautiful dresses, incredible jewellery to dream honeymoons, The UK Wedding Awards 2019 identifies and rewards those key companies. From individuals and independents to high street favourites and designer brands, who help make the journey from just-engaged to married couples as wonderful as possible. We are proud to be independent, family run and operated - opening in September 2018 after a 3 year restoration of a crumbling, derelict building from 1889 in an industrial area of Sheffield.The Mowbray is luxuriously historic and marvellously modern with gentle styling and a story behind even the smallest item including of course - custom made Sheffield cutlery for your wedding feast! Our capacity is 160 seated for a wedding feast or 250 for a roaming and grazing soiree. Luxury for us means is provenance and thoughtfulness - embodied in our own ‘essence’ which burns in each room inspired from the past lives of the building and temptingly tactile, 20ft tall ‘Mowbray Green’ velvet drapes can be drawn of left open for some magnificent natural light displays. We’ve designed and made 80% of what you see from within a mile radius of the building including the 2 metre wide chandelier made from reclaimed 1940’s glass bricks - which was created in our workshops a step away from The Mowbray. Everything else has been found and restored by us - including our matching 1930’s red leather chairs reclaimed from a town hall.The Mowbray is made up of 4 spaces - the main feasting hall, a British garden on the roof terrace for native blooms, herbs, drinks and photographs, our kitchen and the bar - an 8ft antique slate clad beauty held together by original brass screws for tipples and treats. We bring new thinking, new ways and are presenting a venue that through design and creativity that embodies a luxury that goes deeper than ‘styling or dressing’. The very essence of The Mowbray reflects the historic landscape that the building has occupied for 150yrs, yet shows a modern interpretation which has captured the hearts of every couple that comes to see us. Couples love the fact everything has been designed and made within a mile of the building and we can tell them stories of provenance and creation which they can pass on to their guests. 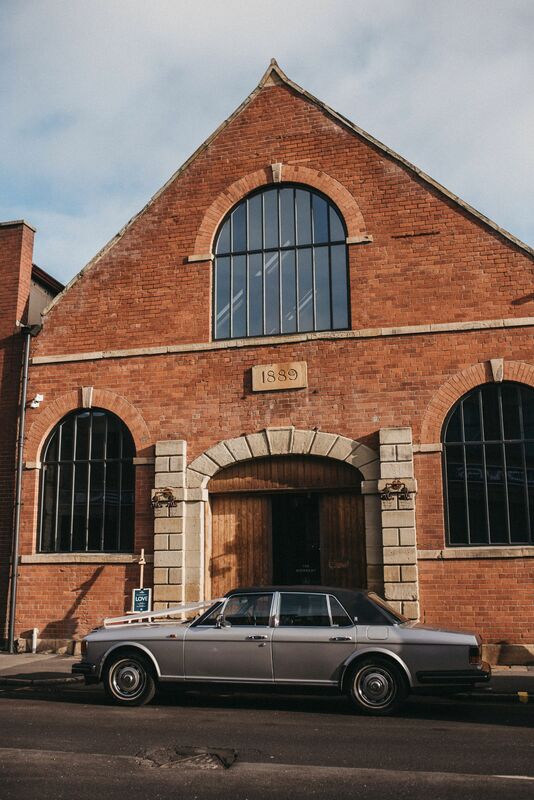 We are a venue with design and creativity at our heart - high in the rafters sits our design agency 93ft responsible for the design and build of The Mowbray. Guests are fascinated by the passion and detailing and adore the fact they are gifted our bespoke ‘essence’ as a wedding gift from us and can lust after canteens of ‘Mowbray Made’ Sheffield cutlery that go straight onto their wedding gift list! 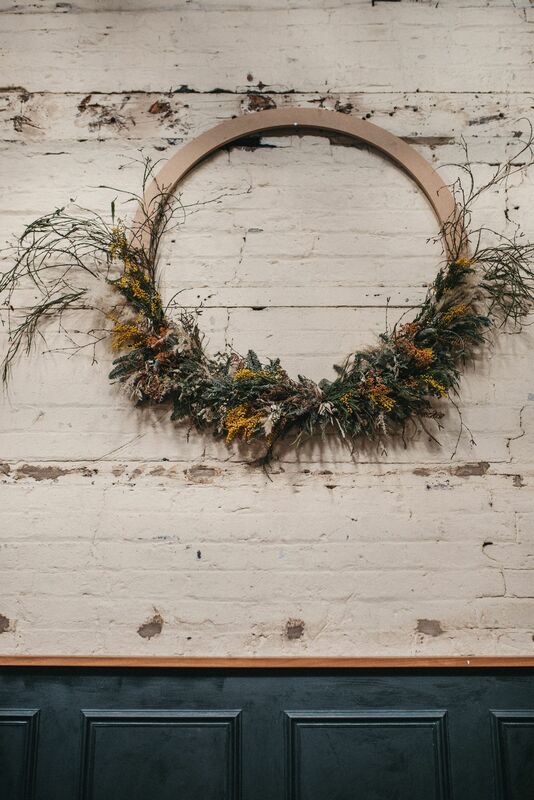 We’ve approached Weddings at The Mowbray as a complete lifestyle experience that engages all of the senses from the herbs on our roof garden to pickling and curing, baking and making in the kitchen to our ‘essence’ floating in the air to the tactile feels of years old antiques and soft leathers.